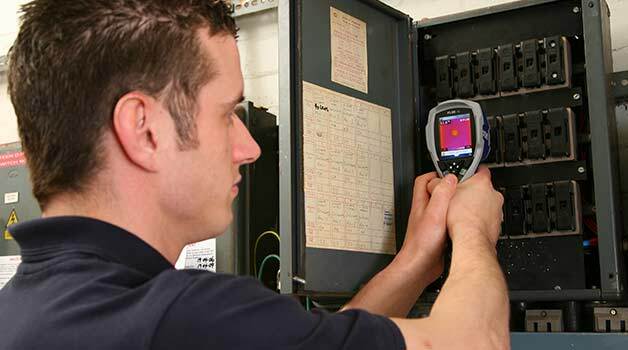 Our highest level thermal camera training course, available for those who have completed the Level 2 course. Take this course and gain the highest level of thermal camera qualification available. Only open to those who have achieved a level 2 certificate in thermography, the Level 3 course is designed to teach thermographers how to establish and manage a successful thermography program in various applications and different industries. The course will both rely on and build upon your existing thermal knowledge and delivers content such as instruction on how to establish inspection procedures, how to apply industry-specific standards, how to manage training, how to manage certification needs, budgeting for equipment purchases and the implementation of safety protocols. With plenty of hands-on work involved, the course also focuses on re-inforcing principles discussed through advanced thermal science exercises, written procedures etc. The Level 3 thermal camera course also will teach participants to develop an equipment list, how to establish severity criteria, how to set repair priorities and how to determine the frequency of infrared surveys.